Still from ‘A Fish Out of Water’ by Tim Mitchell, on show as part of The Department of Repair. 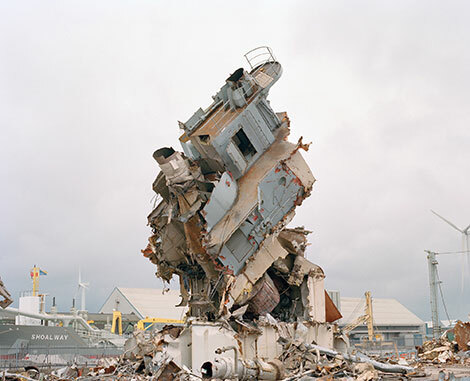 Designed as a two-part project, it aims to reframe the theme of ‘repair’, exploring its potential for environmentally and socially engaged practice. The first part will involve an exhibition and activities for students and the public led by a variety of repair and reclaim related practitioners who use accessible, lo-fi or low tech making skills and tools. 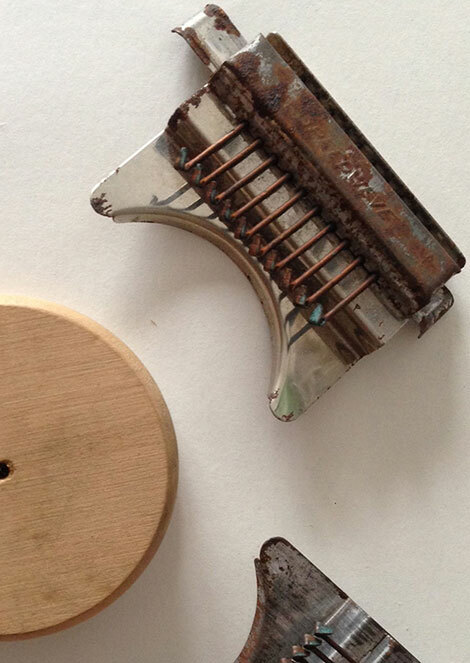 Speedweave Mending Tool by Bridget Harvey. These visiting (re)makers, (re)designers and repairers, will include furniture designers Hendzel and Hunt, leather worker and cobbler Harry Owen, upholsterers Second Sitters, staff from Seabass Cycles bicycle shop in Camberwell, sound artist, designer and electronic musician Yuri Suzuki and electrical repair specialists Restart, all of whom will both demonstrate and teach their own repair skills. Those not taking part in the workshops will be able to observe them, as they will take place in the gallery while it’s open. Following this, the outcomes from the workshops will join the second part of the exhibition for the latter weeks. 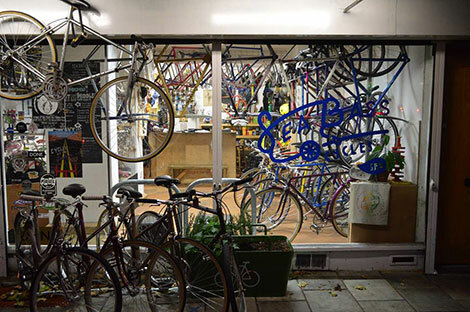 Local business SeaBass Cycles will be giving free bicycle repair workshops on 26 and 27 January. A website and two-part publication will complement the project, with writings from and about the repairer agents on various perspectives on repair. Materials, guides and tools of repair will also be available to visitors during the project. With the aim of a fully zero-waste project, the exhibition and publication will engage with a larger scale of repair through the reuse of materials: furniture for the exhibition is being made from reclaimed materials and will be used as furniture or dismantled back into materials after the exhibition. The publication is being hand printed onto reclaimed paper, and will be produced on demand in small batches to avoid waste at the end of the project. The Department of Repair runs at Camberwell Space until 20 February and the final workshops will take place this week on 27 and 28 January. For more information about how to book a place on a workshop and for exhibition opening times, please visit our Camberwell events page. Join us for a talk by Professor Daniel Charny on 3 February 4-5pm, followed by the private view of the exhibition where you will be able to see the outcomes of the workshops. Find out more about the talk on the event page. If you are interested in studying design courses at Camberwell, please find out more on our course pages. To find out more about studying for a post-graduate or research degree at the Camberwell, Chelsea and Wimbeldon Graduate school, please visit our research pages.